A young woman I’ll call Kelly has been dating a man for the past couple of years. She learned about her HIV status a few months ago. 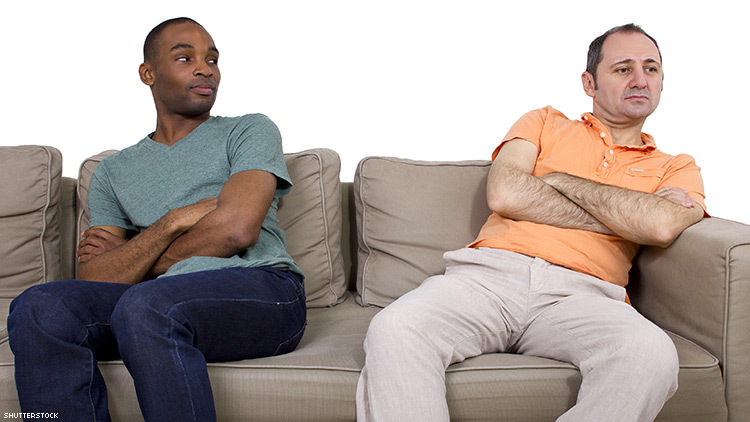 Here’s how she described their relationship: “We weren’t getting along that well for awhile before I found out about my HIV. We were just moving in different directions. And to be honest, I didn’t feel like he really wanted to be in the same kind of relationship I wanted to be in. Sometimes he seemed happy to see me, other times not so much. He might disappear for a week or more, not responding to my texts or calls, then act like nothing had happened. I wasn’t sure if I could trust him. A client I’ll call Eric had a similar story. He describes his boyfriend as “pretty much in denial and often annoyed about” his HIV. “I feel like she just wants me to deal with it, not complain, and not let it get in the way of things he wants us to do together. He won’t talk about it. I’m really hurt that he is so insensitive. He’s even brought up with me that he is wondering if he wants to be with me anymore. One thing that therapists learn to anticipate when they talk with their clients is what’s coming after the “but…” Kelly and Eric are good examples. They clearly recognized some big issues in their relationships. BUT. They are also afraid to let them end. Why they can’t move on is also sad for me to hear. They basically feel that their HIV makes them less desirable as a romantic partner. Damaged goods. Consequently, they are willing to be unsupported, if not mistreated, to hang onto the person they are dating. Where does that leave them? Stuck in an unsupportive relationship that doesn’t look like it’s going to get any better. Yes… stuck in a bad relationship. What about you? Have you ever told yourself to hang on a little longer when you aren’t getting what you need and deserve from the person you are dating? And stayed put in a relationship that wasn’t making you happy? Let go of the fear of being alone. I often find that my clients who are living with HIV place a high value on relationships. They want caring people in their lives. However, that desire can also at least temporarily cause you to accept behavior that you shouldn’t have to put up with. All out of a fear of being alone. So let’s start here: Not being in a relationship and being alone in life are two different things. You can be dateless, and still have a solid support network. Focus on people who are totally in your court. Spend more time with friends and family members who can accept all of who you are. Sure, that’s not the same thing as having a boyfriend or girlfriend, but it’s a whole lot better than being with a boyfriend or girlfriend who makes you feel unworthy. Fill your time with supportive people. Be willing to let go of people who can’t be supportive. As hard as that might be. Being made to feel as if you are a drain on someone else’s happiness is not being in a relationship. At least not one that is going to promote your own well-being. Is that worse than being dateless? I doubt it. If you’re dating someone who can accept you and your HIV, then that’s not someone who deserves to be in a relationship with you. It’s time to let them go. Make your support network a priority. I always tell my clients that the best way to have a good romantic relationship is to have a really strong support network. There are a couple of reasons for that. If you have good friends, then you will also have healthy ways to meet your support needs. Along with unconditional love. With all that support, you’ll be in a much more emotionally healthy position as you journey through the dating world. If your emotional needs are being met by people who truly care about you, you’ll be that more likely to make better choices about whom you decide to date. Take things slow. Get to know potential romantic partners over time. Let them show you who they are, in words but more importantly in deeds. Keep your own needs in the front of your mind, while you also seek to understand what the other person needs. There’s no way to rush this. People get to know each other time. Love, if it is going to blossom, also happens over time. Here’s a rule of thumb to keep in mind: If you find yourself making excuses for the other person’s bad behavior, it may be time to walk away. If you end the evening feeling guilty about your HIV, it may be time to walk away. Follow your instincts. You know when being patient is just setting yourself up for more unhappiness. Be kind to yourself. Compassion starts with you. Demand that others be kind to you, too. And if you’re married… I want to make clear that I am not advocating ending your marriage. Having said that, if your partner isn’t supportive of you, if you feel your partner resents you for the impact your HIV has on your marriage, if you feel mistreated and disrespected, then get some support. Have a talk with friends or family who can listen without telling you what to do. Have a talk with a mental health professional. Try to get your partner into couples counseling. Don’t suffer in silence. Gary McClain PhD, is a therapist, patient advocate, and author in New York City, who specializes in working with individuals diagnosed with chronic and catastrophic medical conditions, their caregivers, and professionals.